Rain never interferes with celebrations in Germany. 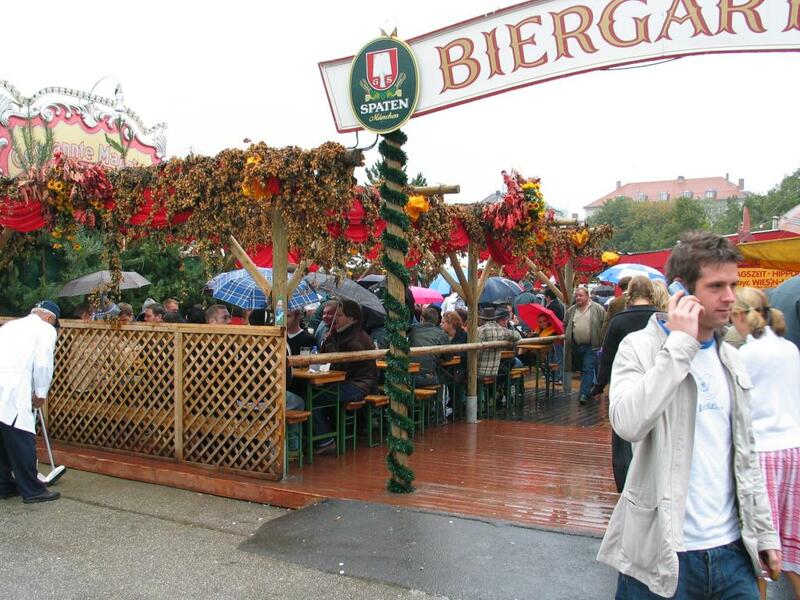 Here, revelers sit in an Oktoberfest Biergarten, umbrellas up, drinking away. Waiters with squeegees and towels would appear to dry off benches as needed.